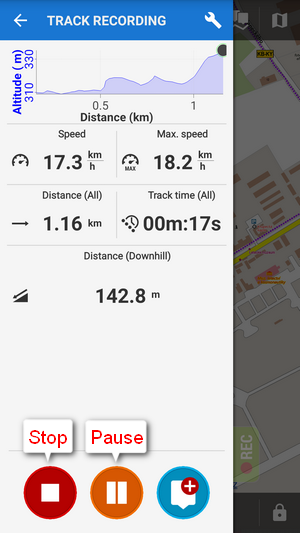 How can I record my trip track? tap Menu and then Track recording. 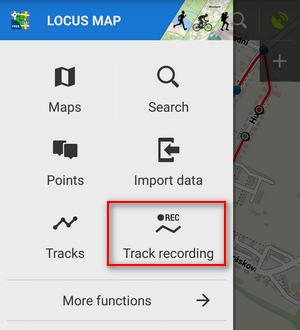 Tap the green button (2) on the tracking panel and Locus starts recording your track. 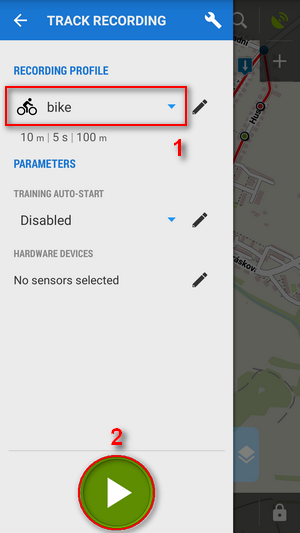 The recording-start panel changes into a recording-monitoring panel that can be slid back by finger and a small tab indicating the recording status remains visible on the left side. you can see the tracking right on the map - the blue arrow is drawing a line. when you get to the finish of your trip, tap the red Stop button. name your track or just leave it named by the date stamp. 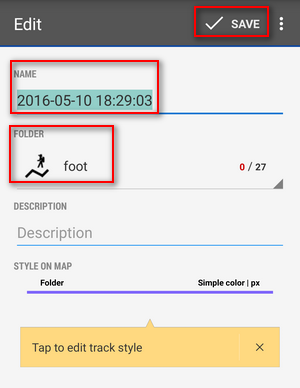 Select folder to store into and tap Save. Your trip is saved and you can boast with it to your friends. 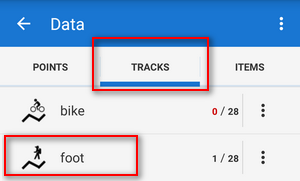 the track you recorded is saved in the Tracks tab that you can find in Menu > Tracks. 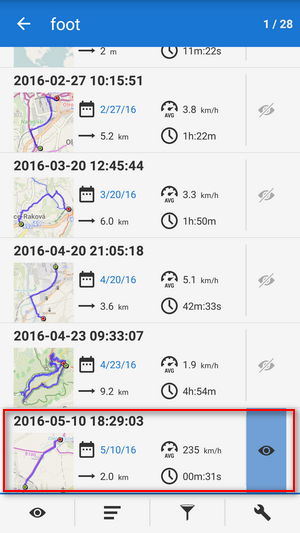 For more about track recording see the chapter Track recording.